Macedonia lies in the centre of the Balkan Peninsula, in between Albania, Kosovo, Serbia, Bulgaria and Greece. The small and beautiful country offers its visitors a unique blend of natural wonders, traditions and culture. The scenic landscape of its valleys, forested hills, mountains and numerous lakes (of which the tectonic Ohrid and Prespa lakes are the best known) is attracting more and more tourists each year. The Republic of Macedonia is also a treasury of culture and art and home to a large number of historical monuments, icons, monasteries, archaeological sites, mosques, old books and other artefacts. Same as in Albania, the Yugoslav communist regime deemed necessary the establishment of many and often highly polluting factories in Macedonia. 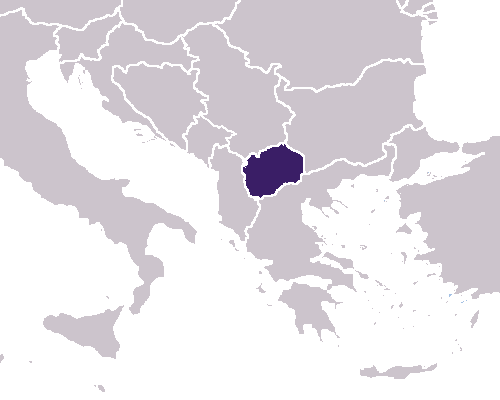 Some of them, located mainly in the regions of Veles and Skopje are still functioning. However, the emissions of waste pollutants have decreased because many companies have reduced their activity after the transition to a market economy. Air pollution in Macedonia is mainly derived from energy production and transformation, fuels combustion, heat production for industry and residential and administrative buildings heating. There is a significant lack of equipment and modern technology. Metallurgical plants in particular are well-known sources for air pollution. Furthermore, the traffic also claims a part of the blame, as the average age of vehicles in Macedonia is 15 years. Surface and ground waters are suffering from pollution. Waters are directly discharged without any treatment. Heavy metals were found in several rivers, as well as phosphorus and nitrates. Chemical industry, leather production, food production and metallurgic industry are all severe polluters of the water. The waste water inflow has caused eutrophication on Lake Ohrid. Macedonia is classified as a semi-arid area which makes the use, protection and conservation of water resources highly important. Although the country is fairly rich in water resources due to its great lakes Ohrid, Prespa and Dojran, it is considered to be water stressed. Furthermore, there are indications that agricultural production contributes to land based pollution such as sedimentation from soil erosion and agrochemical pollution from uncontrolled use of fertilizers and pesticide which also affect water bodies. Forests fires are a hazard, especially in summer (during the last ten years around 100,000 ha of forests have been affected by forest fires). In 2008, six million trees were planted in Macedonia to regenerate damaged forests. Illegal logging is also a growing area of concern, as well as illegal hunting. And not only forests are at risk. Several direct and indirect threats, such as agricultural activity, infrastructure industry and mining lead to loss of biodiversity and loss of ecosystem services. 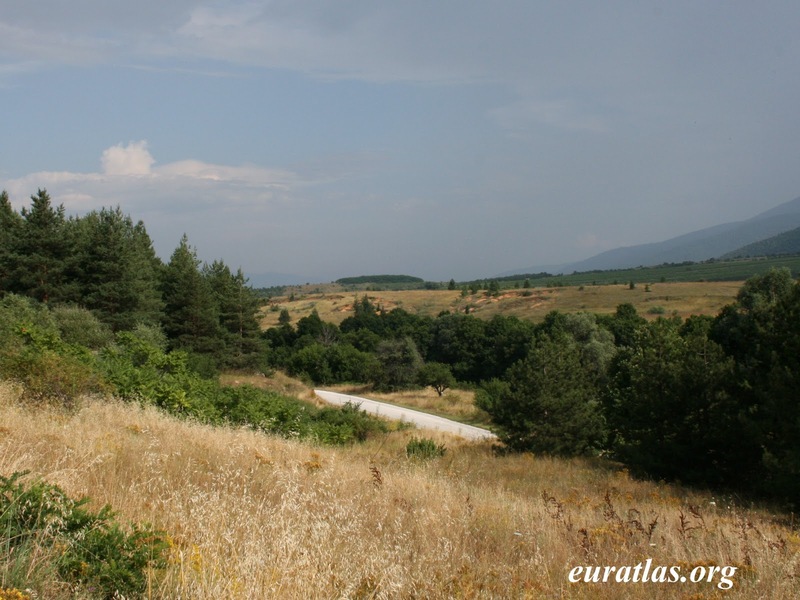 In terms of land degradation and erosion Macedonia is one of the most vulnerable Balkan countries. This is due to the mountainous landscape, historical and continuing unsustainable agricultural practices, and climatic variability with intense rainfalls and aridity. The major problems causing soil degradation in rural areas are poor agricultural practices, especially inefficient irrigation schemes, the overuse of chemical fertilizers and pesticides, and mining operations. In urban and industrial areas soil is contaminated with heavy metals and organic chemicals. Waste is another significant problem. The city of Skopje has a processing center for household waste in the rest of the country, so they are left in open dumps. There are large numbers of illegal dump sites and so far none of the existing landfills in the country complies with the EU standards. Furthermore, separating recyclable material and hazardous components of waste is at a very early stage. As of 2001, approximately 7.1% of Macedonia's total land area was protected, including one World Heritage Site and one Wetland of International Importance. As of 2001, the list of threatened species included 10 types of mammals and 3 types of bird. Endangered species include the field adder, Apollo butterfly, and noble crayfish. Climate change will most likely lead to temperature rise, mostly in summer periods, with intensive decrease of precipitation in all seasons except winter. Ohrid and Prespa lake regions are expected to have mildest response to global changes of the climate, while alpine regions are expected to have a dramatic response. The high mountain ranges would suffer snow and ice melting and loss of alpine ecosystems biodiversity. Climate change will also add to existing stresses, particularly water scarcity, land degradation, loss of biodiversity, and natural disasters. Due to the hot and dry conditions, forest fires are likely to intensify and become more frequent. The involvement of citizens in civic organizations is small. Under one fifth of citizens volunteer in at least one organization, but hardly any volunteer for more than one. The volunteer activities are mostly once off or one day engagements. Not having continuity in volunteer activities can indicate that citizens have not made these activities a habit and do not have the motivation to do something more (outside the family and personally) for the community and their compatriots. Citizens participate more in informal activities than those which involve an organisation. When it comes to environmental issues, only one in five citizens feels the responsibility for environmental protection. They support the standards and measures for environment protection, but also have great expectations from the government in this sphere. At present, the activities in the field of environment have two directions. One part is carried out at national level and includes activities for strengthening public awareness – campaigns, lobbying for legislative solutions, for respecting and implementing the AarhusConvention, etc. The other part, on the other hand, is carried out at a local level and includes different specific environmental actions, alarming and lobbying in cases of endangering the environment, etc. According to OECD there are about 15 environmental taxes in Macedonia, among which 3 regard fuel and energy, 1 regards vehicles, 3 regard water, 4 regard waste, while the remaining ones refer to use of resources. There are also some environmentally motivated subsidies with the purpose to provide incentives for environmental investments and introduction of cleaner technologies. Other sector-specific strategies include: Strategy for Energy Efficiency, Strategy for use of renewable sources of energy, Strategy for increasing energy efficiency, Waste management strategy, National plan for waste management, National strategy with action plan for organic agriculture and National strategy for sustainable development of forestry. Except for a few cases, the general level of social responsibility of entrepreneurs is still at a low level, with very few companies practicing social responsibility and many ignoring the negative effects on the communities and environment. Although there is a positive tendency, there is generally no long-term strategy for this purpose.